Inbound Return on Investment (ROI) is the profit earned from Inbound Marketing activities. Knowing your Inbound ROI allows you to directly see the financial impact of marketing on your organization as well as set future marketing and sales goals in order to maintain or increase profitability. To calculate your Inbound ROI, take your total Lifetime Value of a Customer (LTV) and subtract your Customer Acquisition Costs (CAC). Then take that number and divide it by LTV. 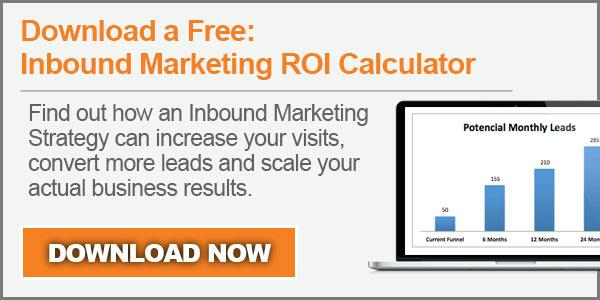 This calculation will show the amount earned for every dollar that was spent in support of Inbound Marketing. In order to increase your Inbound ROI, determine if high LTV customers were obtained more frequently through a specific marketing campaign or channel. If you see a pattern, rebalance your overall spend to increase investments in marketing activities that consistently produce higher value customers.